The Arteon is eye-catching from any angle, with its elongated contours and low, aerodynamic silhouette. The wrap-around bonnet and frameless side windows exude quality and elegance, reflecting the style of a classic fastback saloon, beautifully complemented by the striking rear design. All offers, prices and information correct at time of publication and are subject to change/withdrawal without notice. Offers available on vehicles ordered and registered before 30 June 2019. Images for illustration purposes only. 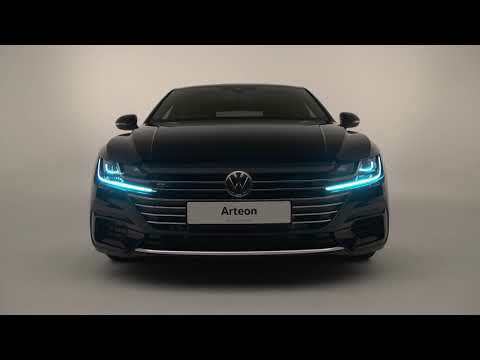 For fuel consumption, CO2 emissions and environmental information please refer to the Volkswagen Arteon brochure.